So, even after I made the Ricotta Orange Pound Cake I posted about last week, I still had ricotta cheese left-over and I didn’t want to toss it. So, I decided to make Lemon Ricotta Bars. Lemon & ricotta go together so well… If you don’t believe me try making these bars, these pancakes I posted about a few years ago or these cookies I posted right before the holidays last year. All were delish! Preheat the oven to 350F. Spray a 9x13x2 baking dish with nonstick cooking spray. For the crust: Combine the ingredients for the crust in a medium bowl and mix until moistened. Press the mixture evenly in the prepared pan and about 1/4 inch up the sides of the dish. Bake in the preheated oven for 8-10 minutes, until set, and then set aside to cool. Reduce the oven to 325F. For the filling: Whisk the ricotta, eggs, sugar and flour in a bowl until well combined. Stir in the lemon zest, lemon juice and salt and blend well. Pour the filling into the crust and bake until filling is firm, about 30 minutes. Let the pan cool on a wire rack, at least 2 hours. Cut into desired sized bars with a knife, wiping the knife between cuts. You can pretty much find cheesecake in any flavor these days. Have you ever been to the Cheesecake Factory? Looking at their endless list of options can make you cross-eyed. While there is nothing wrong with the classic, whether you like yours made with ricotta cheese or cream cheese, sometimes you want a cheesecake with an extra hint of flavor and something a little different. Hence me trying out a recipe for a Maple Walnut Cheesecake. Those flavors just seem synonymous with the Fall season and with Thanksgiving just a few days away this may be a good option for you to serve for those guests who are just not into Apple or Pumpkin Pie. To make the filling I began by creaming together 4 8 oz. packages of room temperature cream cheese in my stand mixer until it was smooth. I then added in maple syrup and granulated sugar. Following that 4 eggs, one at a time. And finally flour, heavy cream, lemon juice and vanilla extract. The original recipe called for maple extract, but, since the recipe only called for a quarter of a teaspoon I didn’t want to buy an ingredient that I was certain I wouldn’t use again anytime soon, if ever. 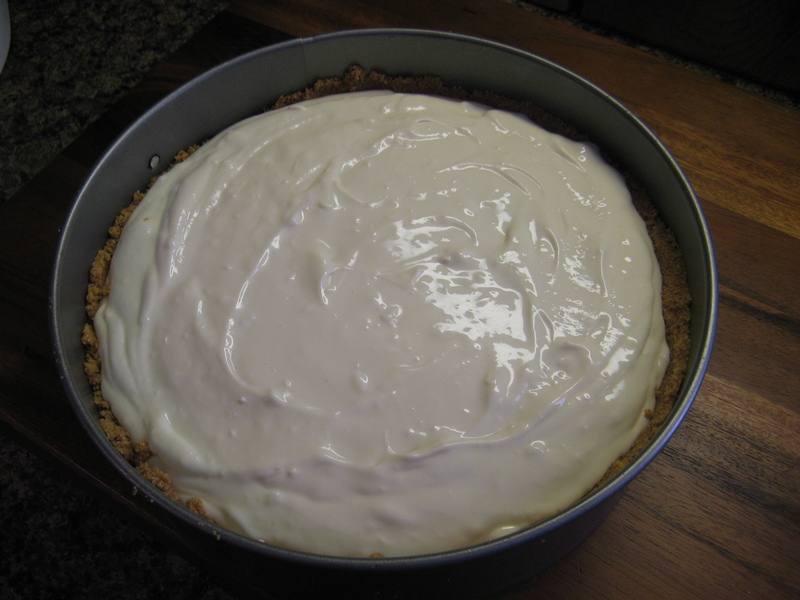 Once the filling was ready I poured it into the cooled crust and then placed the cheesecake in the oven directly over the roasting pan with water. After baking for about an hour I transferred the cheesecake to a wire rack to cool to room temperature. I knew it was ready because it was set around the edges but slightly jiggly in the middle. After it cooled I covered it with aluminum foil and refrigerated it overnight. 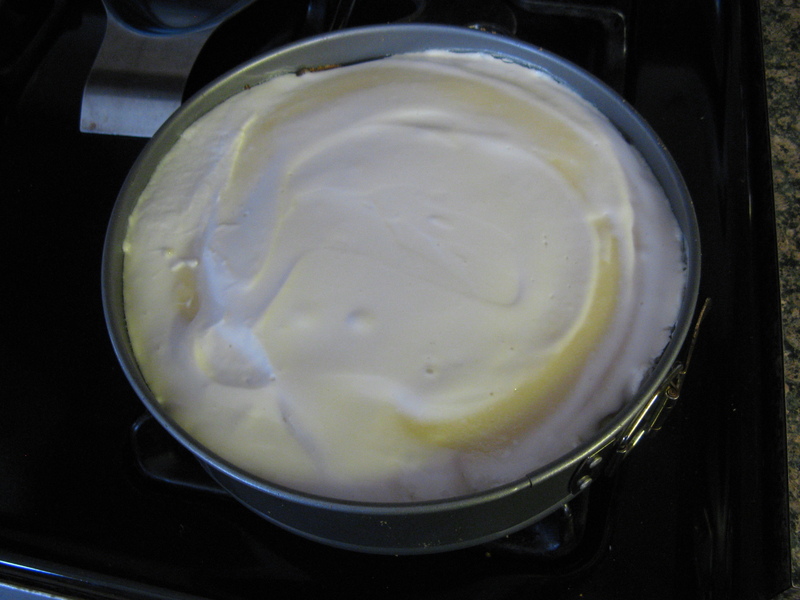 The following day before removing the springform ring I let the cheesecake sit at room temperature for an hour and then ran a knife along the edges. The ring came off without incident (i.e. no sides of the cheesecake were ripped). I couldn’t wait to enjoy a slice and while the cheesecake was perfectly creamy it didn’t have much of a maple flavor in my opinion. 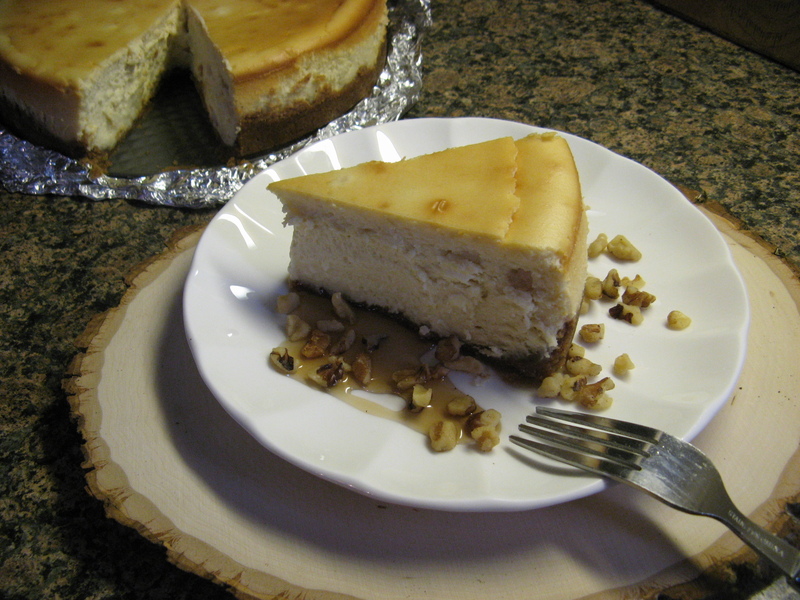 I’m not sure if that’s because I didn’t use the maple extract or because it is meant to be more of a subtle flavor as opposed to one that overpowers the cheesecake. One thing that did stand out was the walnuts in the graham cracker crust; it added a nice nutty flavor. Fill a roasting pan halfway with water and set on a rack in the lower third of the oven, position another rack in the middle of the oven and preheat the oven to 350 F. Wrap the bottom of a 9-inch springform pan with aluminum foil. To make the crust; pulse the graham crackers in a food processor a few times until crushes. Add in the walnut and brown sugar and continue pulsing until finely ground. Add in the melted butter, nutmeg and salt and pulse to combine. Press into the bottom and about 1-inch up the side of the prepared springform pan. Bake until the crust is lightly golden, about 10 minutes. Transfer to a wire rack to cool completely. 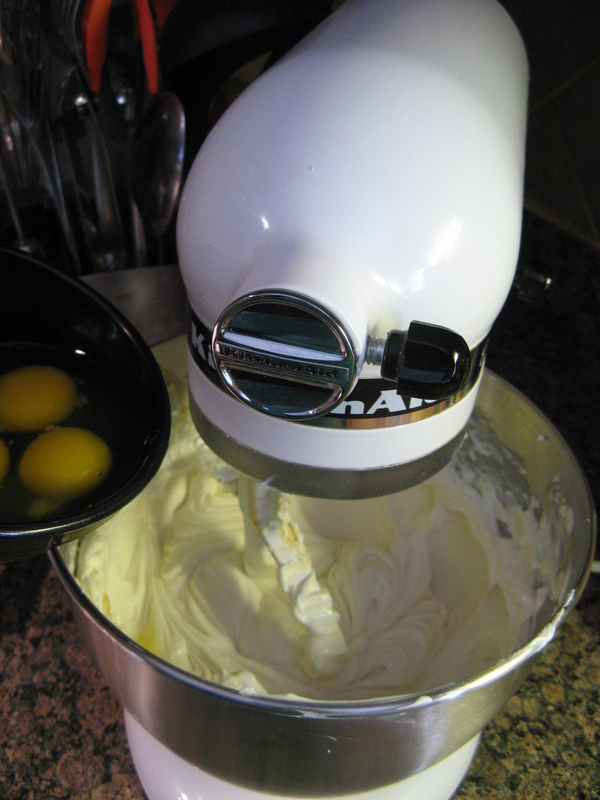 To make the filling; beat the cream cheese in a stand mixer with the paddle attachment on medium speed until smooth, about 1 minute. Add the maple syrup and granulated sugar and beat until smooth, about 2 minutes. Add the eggs, one at a time, beating after each one. Increase the speed to medium high and beat in the flour, heavy cream and lemon juice and extract until the filling is smooth and silky, about 1 minute. 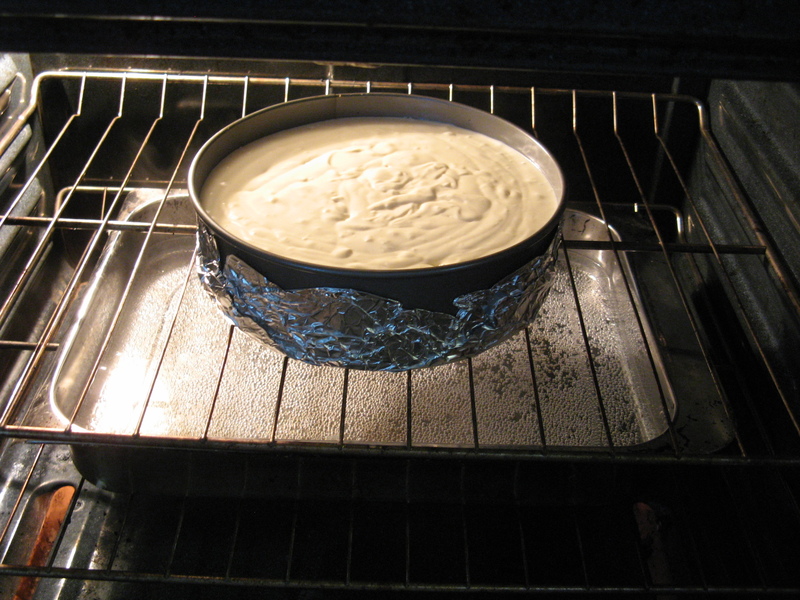 Pour the filling into the cooled crust and transfer the cheesecake to the oven directly over the water bath. Bake until golden and set around the edges and slightly jiggly in the middle, about 60 -70 minutes. Transfer to a wire rack and let cool to room temperature, then cover and refrigerate until cold and set, at least 5 hours or overnight. Let the cheesecake sit at room temperature for 20 minutes, then run a knife around the edges and remove the springform ring. Cheesecake… Is it a Pie or a Cake? Well, for today the answer to that question is going to be pie in honor of Pi Day! 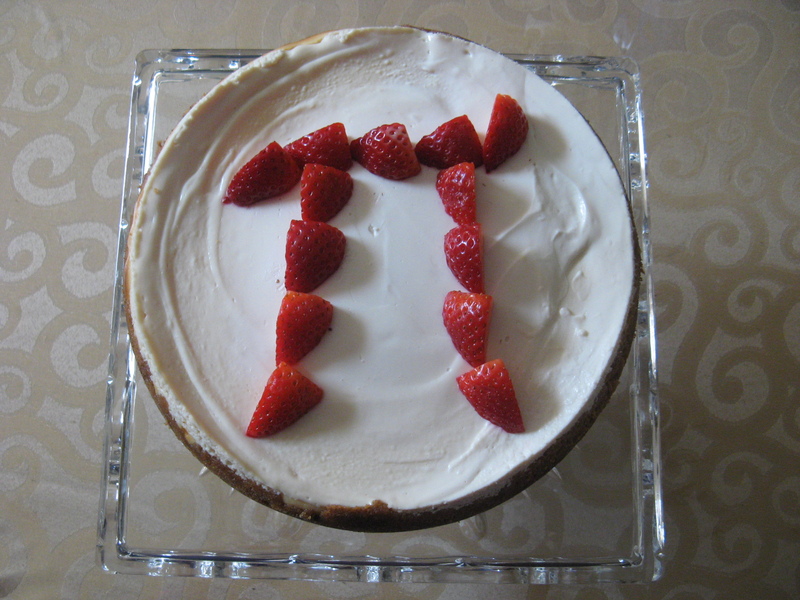 Yes, it’s the day that Math lovers around the world celebrate in honor of Pi, the irrational number (meaning it cannot be written as the ratio of two integers) that begins with 3.14 and goes on infinitely. This year’s Pi Day is extra special though because it only comes around once every 100 years… The first five numbers of Pi Day is the date (3/14/15) and to go even further at the time 9:26:53 you will have the first ten numbers of Pi in sequence, i.e. 3.141592653. Okay, I’ll stop being a Math geek now and go back to the pie. The idea of cheesecake falling under the pie category isn’t too much a stretch, especially for this cheesecake. 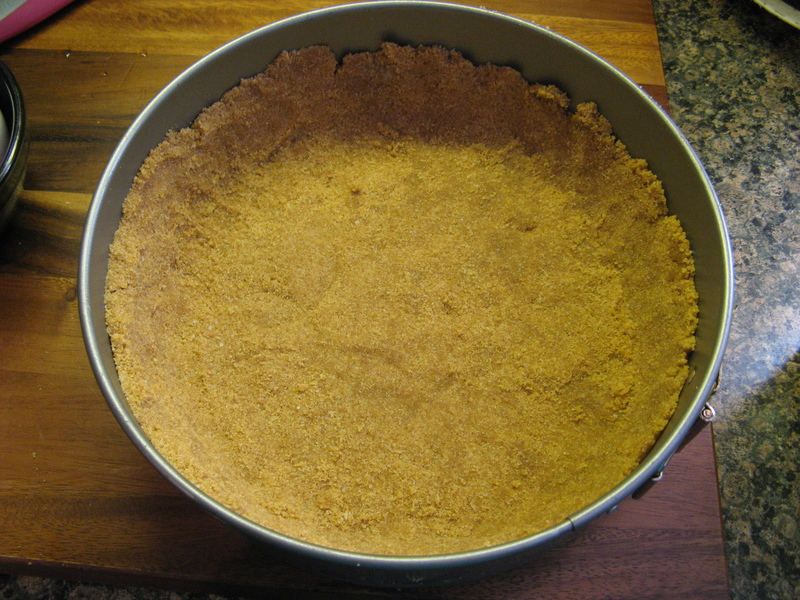 Pies tend to have a crust and this one has a graham cracker crust and they also have a filling, the cheesecake part. Okay, maybe it is a tad bit of a stretch, but, I really couldn’t think of a pie I wanted to make but I have wanted to make a cheesecake. 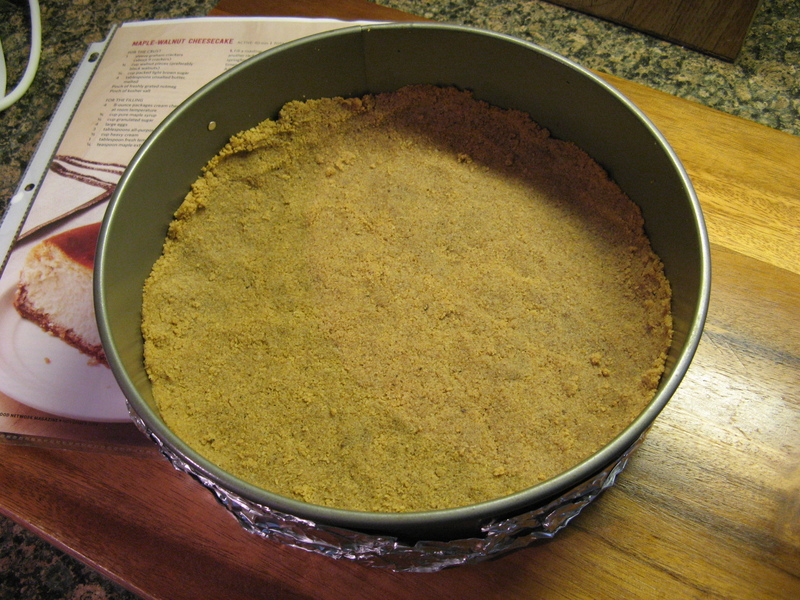 I began by making the crust… Using a food processor I ground up 18 graham crackers until they were fine crumbs. I then added in a stick of melted butter, sugar and salt and pulse to combine them. Following that I pressed the crumbs into the bottom and approximately 2-inches up the side of a 9-inch springform pan. 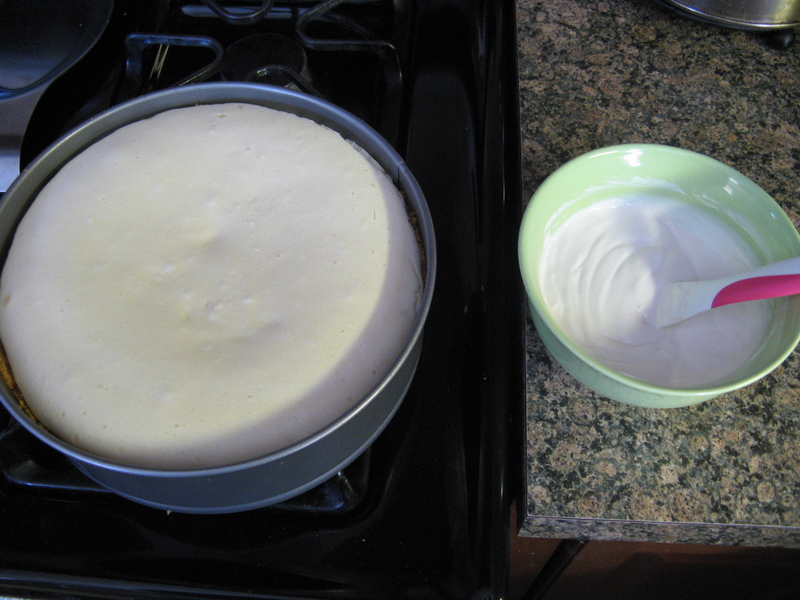 Next I moved on to make the actual cheesecake. 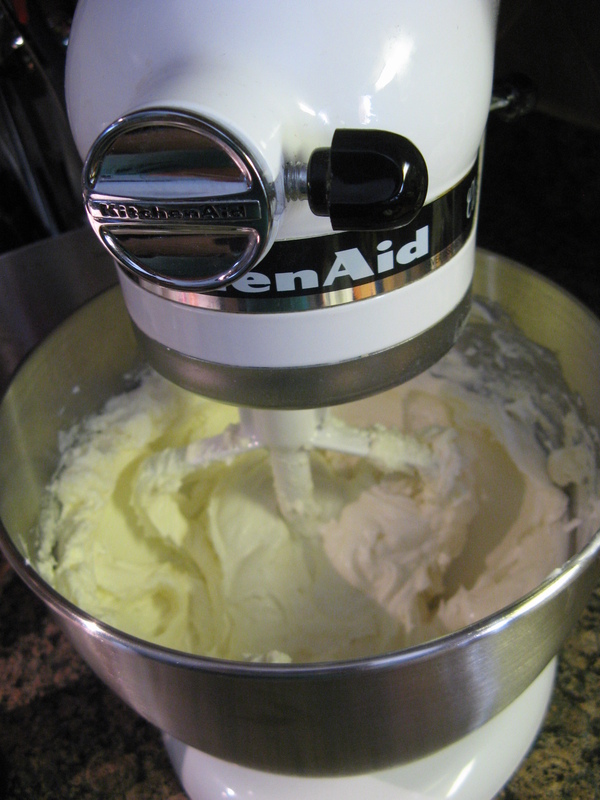 Using a stand mixer I beat three 8-oz. bars of cream cheese with a cup of sugar until it was smooth. It’s important to use room temperature cream cheese to ensure you won’t have any lumps in the mixture. I then added in a cup of room temperature sour cream and a teaspoon of vanilla extract; beating until these two ingredients were well incorporated. And finally I added in three eggs, one at a time. 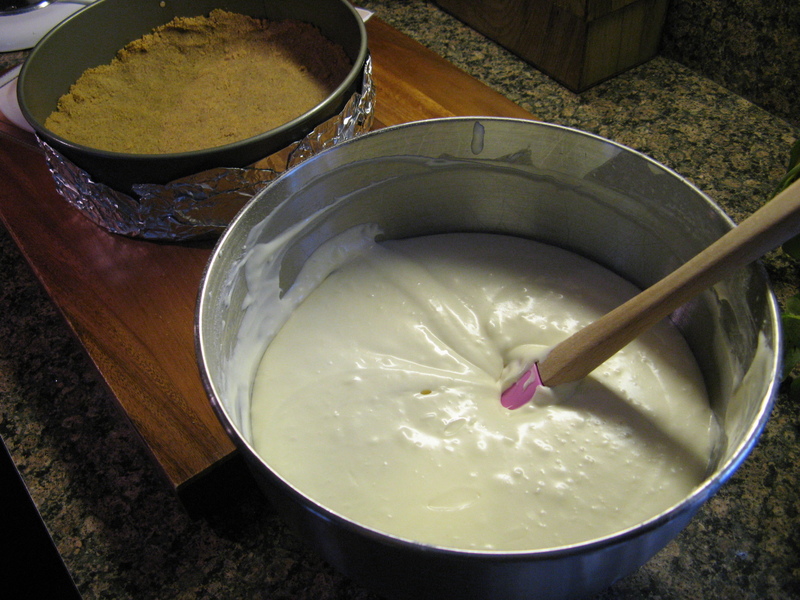 Before pouring it into the crust, I gave the cream cheese mixture a few stirs with a rubber spatula to make sure all of the ingredients were blended together well. I tend to find that sometimes ingredients are left on the bottom of the bowl of the stand mixer untouched since the paddle attachment doesn’t fully hit the bottom of the bowl. After pouring the cream cheese mixture into the prepared crust I baked it in a preheated 325 F oven for about an hour; until it was set but still wobbly in the center. A few minutes before removing the cheesecake from the oven I combined a cup of sour cream, a few tablespoons of sugar and vanilla extract in a bowl. 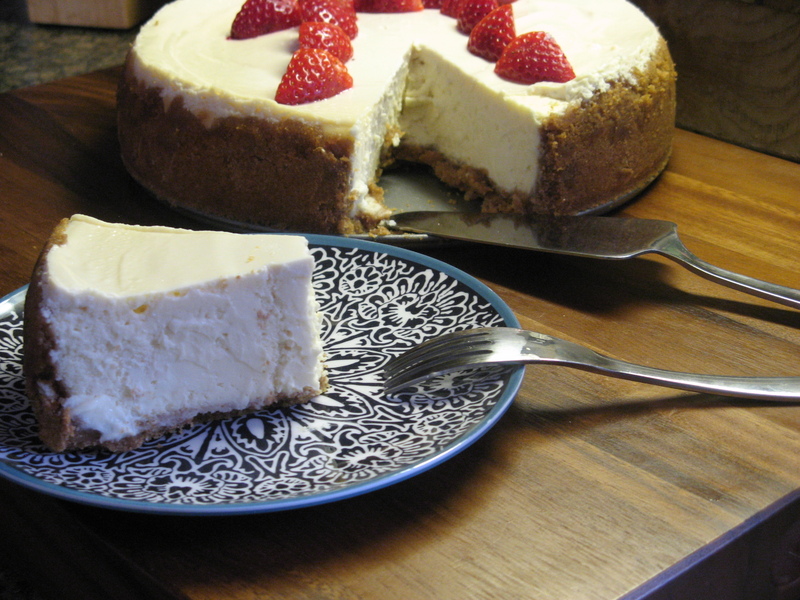 I was happy that the cheesecake didn’t have any cracks in it – that normally happens when I bake cheesecakes. 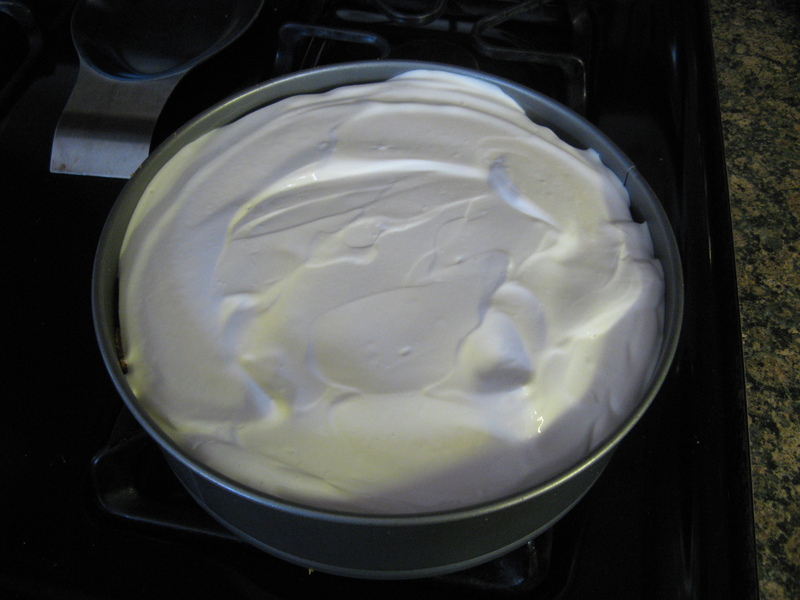 I then spread this sour cream mixture over the cheesecake and then placed the cheesecake back in the oven for about five minutes. 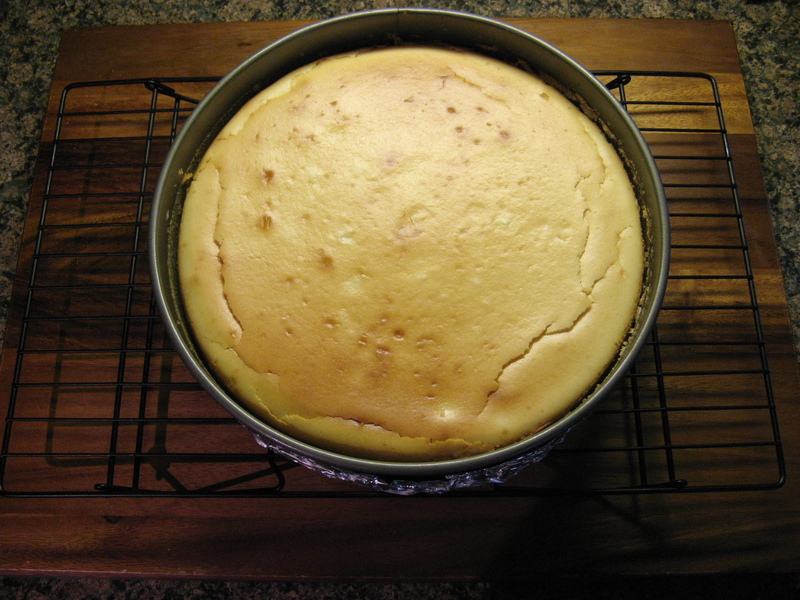 The cheesecake right out of the oven… I let it cool for a few hours before covering it and placing it in the refrigerator. 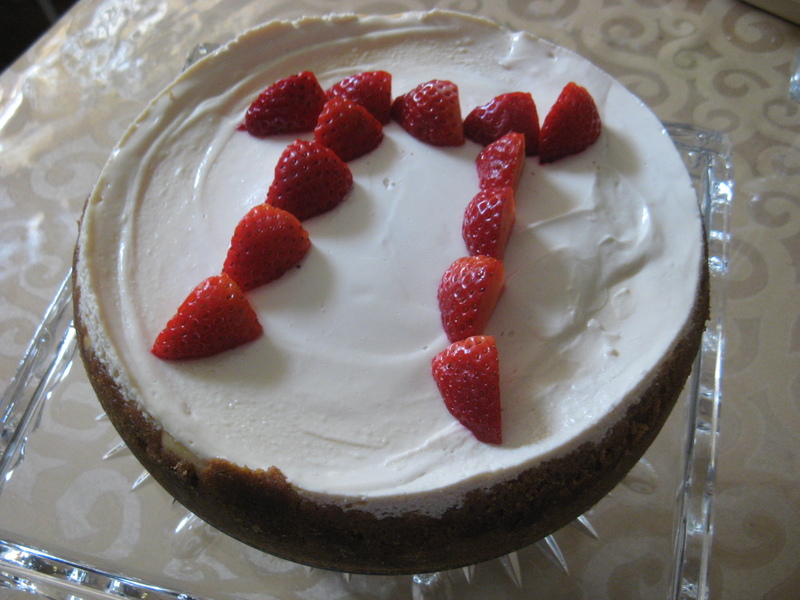 I ended up leaving it in the refrigerator overnight and then added some sliced strawberries on top of it the following morning in the shape of the Greek letter used to represent “Pi.” I had to validate this being a Pi Day pie somehow! And how did it taste… It was perfectly creamy and not overly sweet! A winning combination for the perfect cheesecake! 1. Preheat oven to 325 F. In a food processor pulse the graham crackers until fine crumbs form. Add the butter, salt and 2 tablespoons of the sugar and pulse to combine. Press the mixture on the bottom and 2-inches up the side of a 9-inch springform pan. 2. 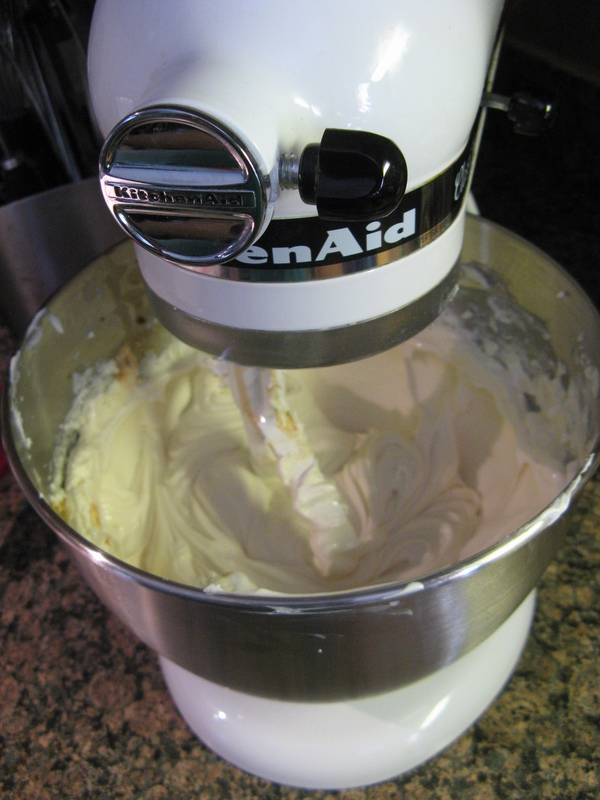 Use an electric mixer to beat the cream cheese and 1 cup of sugar until smooth. Add 1 cup of the sour cream and 1 teaspoon of the vanilla extract and continue beating until combined. Beat in the eggs, one at a time. Pour the mixture into the prepared crust and bake until just set (the center will be slightly wobbly), 50 to 60 minutes. 3. 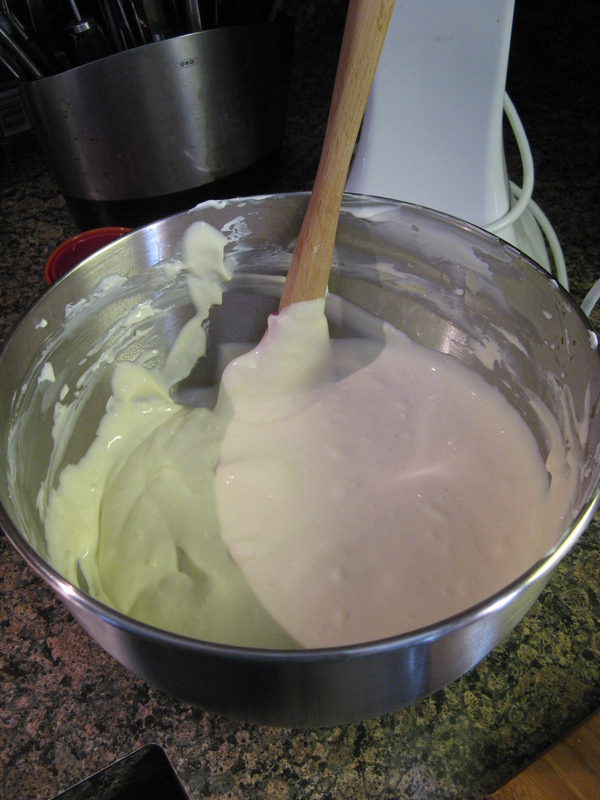 In a small bowl combine the remaining 1 cup of sour cream, 2 tablespoons of sugar and 1/2 teaspoon of vanilla extract. 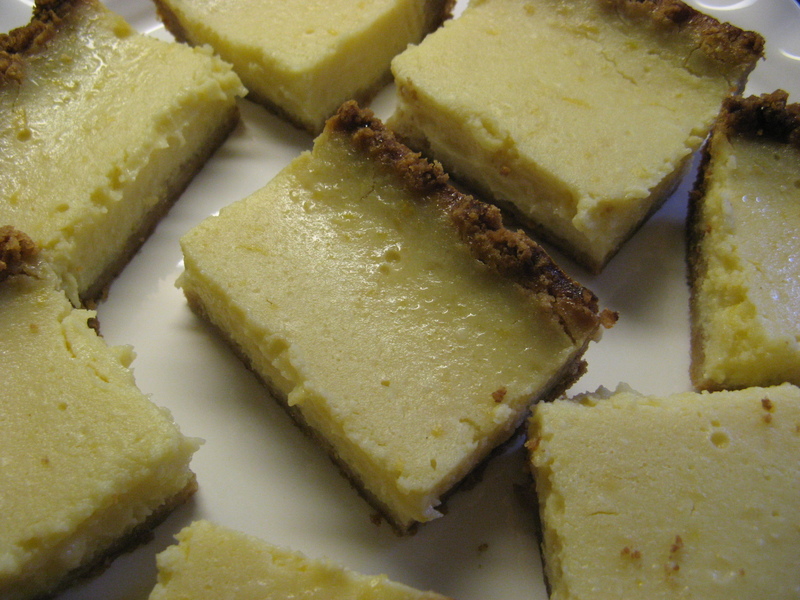 Spread over the hot cheesecake, then bake until set, 3 to 5 minutes more. Let cool to room temperature in pan, then refrigerate for at least 2 hours. Run a knife around the edge of cheesecake before unmolding.